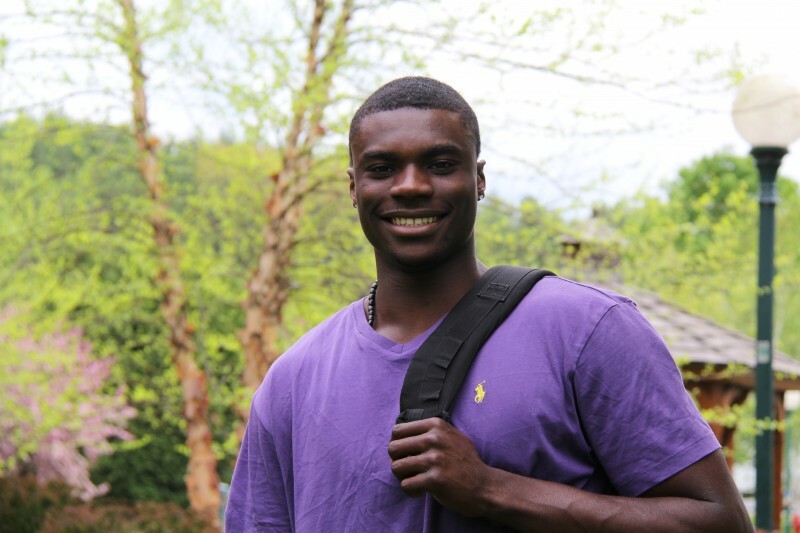 From academics to athletics, Dammy Mustapha conquered the Castleton campus. A 2013 graduate with a Bachelor of Science in Business Administration and a concentration in Marketing, Mustapha was also a four-year member of the men’s basketball team. Originally from Bellows Falls, VT, Mustapha remained in the Green Mountains after acquiring his degree and is currently employed as a specialist at the Department of Health in Burlington. He attributes his Castleton experience with preparing him for his professional life. It was a mix of parental guidance and his personal intuition that landed Mustapha at Castleton for his four-year degree pursuits. Within a few months of that visit, Mustapha made his splash on campus and became engulfed in the Castleton culture and small college atmosphere. As a Spartan student-athlete, Mustapha had many opportunities to witness this support from the Castleton community. “The one thing that stands out and is different from the rest is winning a conference title and advancing to the NCAA tourney,” Mustapha said. In his junior season, Mustapha lead his team with eight blocks per game, ranked second in rebounds, and netted 8.5 points per game. To top it all off, the Spartans reigned between the rims that season and went on to win the North Atlantic Conference tournament to an explosive Glenbrook Gymnasium. The win advanced Mustapha and the team to compete on the national stage. The following year, then senior Mustapha led the Spartans in rebounds with 6.2 per game and tipped in the game winning put-back with seconds remaining on the clock in the ECAC quarterfinal game. According to Mustapha, his experiences as a student-athlete at Castleton prepared him for his post-graduate endeavors. However, beyond the textbooks and the weight room he said for current and incoming students that the relationships you establish and the sense of community you experience are what make Castleton memorable. “Enjoy your time and make the most of it,” he said.